Our annual Spring Trip to YNP was a week earlier this year. With a record warm winter for the park, I was betting that things would be happening earlier. I may have been about half right on this. The weather was constantly changing with some highs in the upper 70's and lows in the teens. We had sun, rain and snow in the 2 weeks spent in the park. Photography wise, we had a very good trip. Shooting was limited to early and late on most days because of the heat waves during the middle of the day. 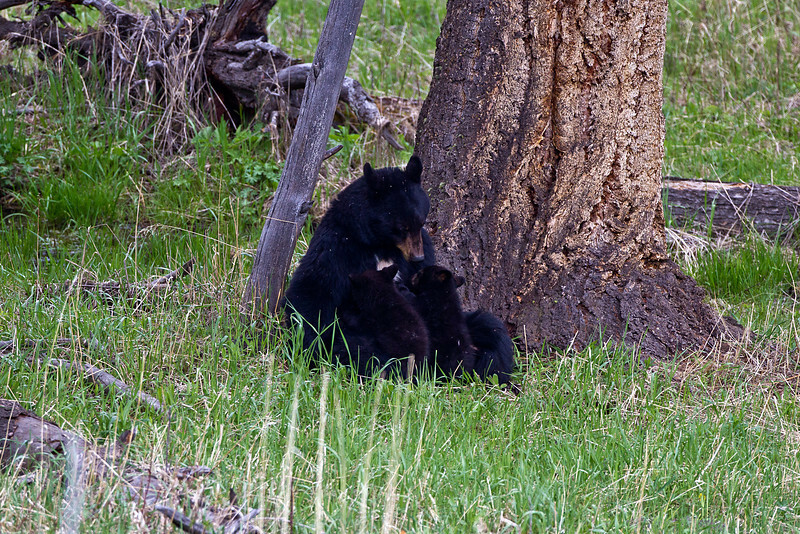 A lot of twin bear cubs this year. We saw a total of six different bear cubs with four sets being cubs of the year. We also were able to photograph the more elusive mammals in the park, including badgers and foxes. Overall, Spring 2012 ranks in one of the top of our annual spring trips to YNP.